Late one night, Blomkvist receives a phone call from a trusted source claiming to have information vital to the United States. The source has been in contact with a young female super hacker–a hacker resembling someone Blomkvist knows all too well. The implications are staggering. Blomkvist, in desperate need of a scoop for Millennium, turns to Lisbeth for help. She, as usual, has her own agenda. 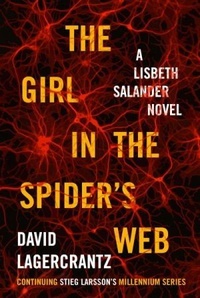 In The Girl in the Spider's Web, the duo who thrilled 80 million readers in The Girl with the Dragon Tattoo, The Girl Who Played with Fire, and The Girl Who Kicked the Hornet’s Nest meet again in an extraordinary and uniquely of-the-moment thriller.